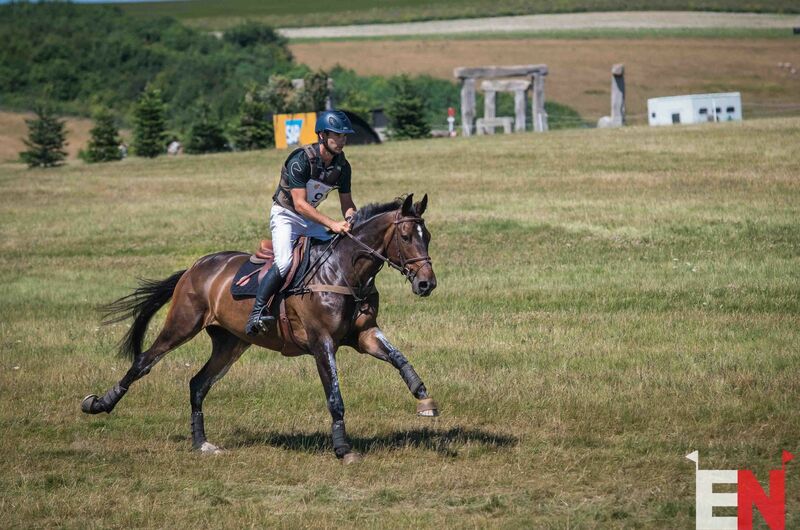 Tom Carlile and Upsilon successfully defend their Barbury ERM title. Photo by Tilly Berendt. 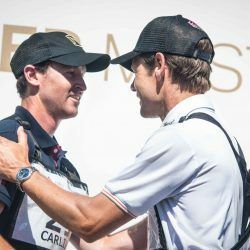 “He has almost too much talent for a rough sport like this,” mused France’s Tom Carlile, looking back at an up-and-down season with his much-admired Upsilon. Just hours later, that talent would come good at a pivotal moment. 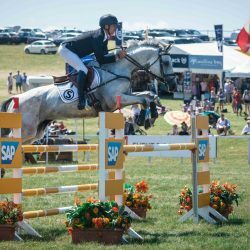 Few could deny the Selle Francais stallion’s raw ability and charisma, but a spate of bad luck, starting in the latter half of the 2017 season, cast some doubts about Upsilon’s consistency. 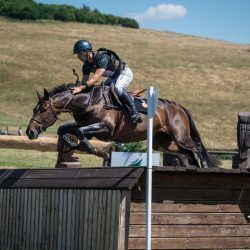 Those were cast aside this weekend, as the pair claimed a seemingly effortless win, for the second year running, in Barbury’s Event Rider Masters CIC3*. 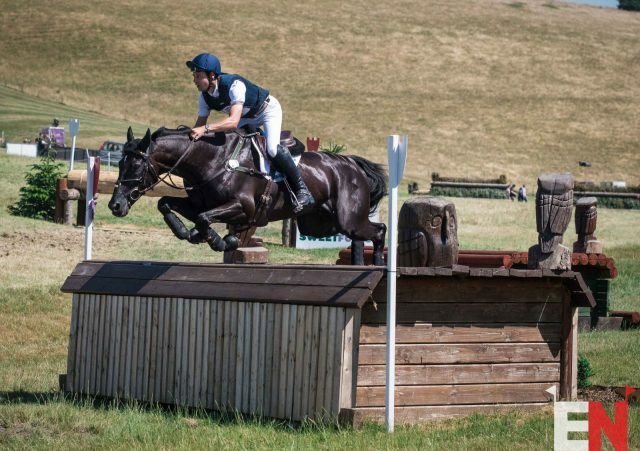 Tom Carlile reasserts his dominance at Barbury. Photo by Tilly Berendt. 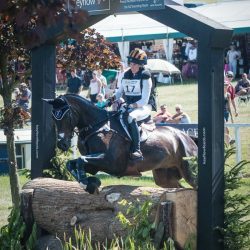 A “relaxed…maybe a bit too casual” dressage test, which scored a 24.9 and earned them the joint-lead, shared with Liz Halliday-Sharp and Fernhill By Night. 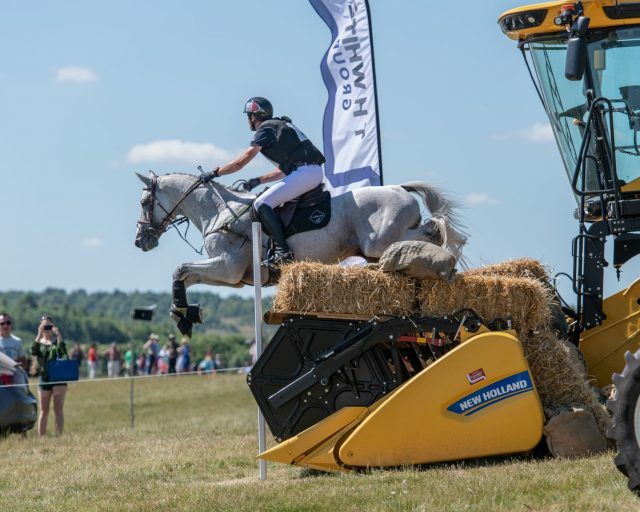 A clear showjumping round over one of the most fiendishly difficult ERM showjumping tests yet, with the average round costing over 11 penalties, and plenty sailing past the 30 mark. A quick, confident charge across the country, adding just 1.2 time penalties to preclude another characteristic FOD, but good enough to take the win by a margin of nearly three points. 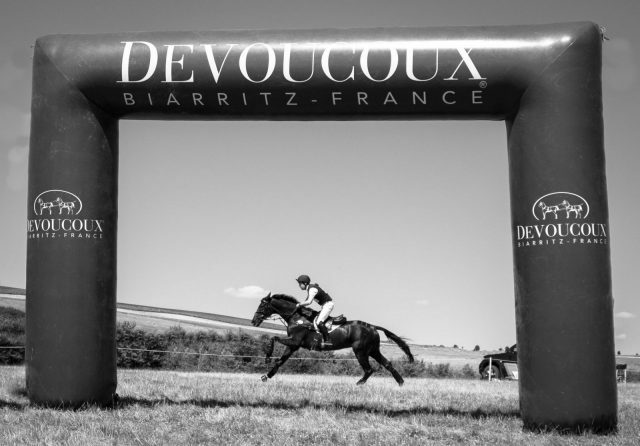 After Upsilon’s win in this class last year, it was a last-minute tactical manouevre to bring the horse back. 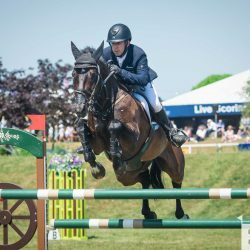 A disappointing Arville had seen the pair come to grief in both jumping phases, before opting to retire on course and reroute. 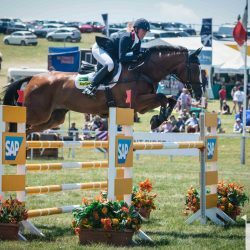 Tom Carlile and Upsilon. Photo by William Carey. 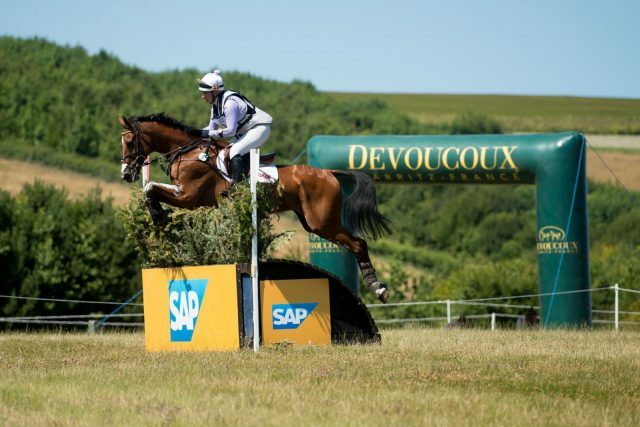 Upsilon, who has finished in the top five in fourteen of his seventeen international runs, made his squad debut for France at last year’s European Championships – but the week didn’t go to plan, and the then-nine-year-old was eliminated for accumulated refusals on cross country day. 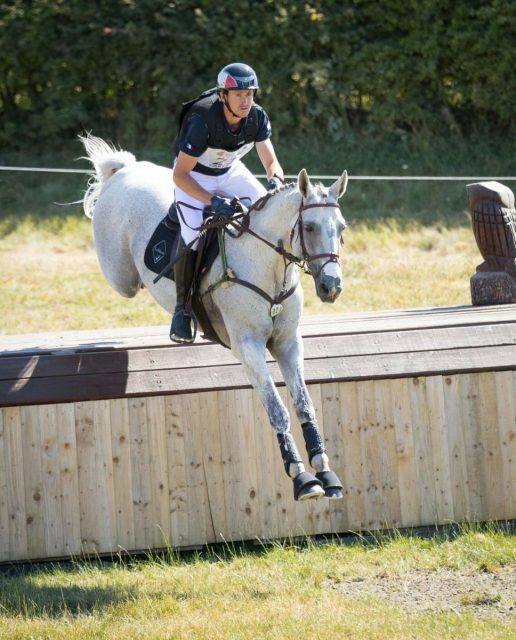 Tom Carlile and Upsilon. Photo by Anna Franklin. With injury rehabilitation came extra training considerations, as Carlile strategically rebuilt Upsilon’s bruised confidence following their trip to Strzegom. To do so, he enlisted the help of French team coach Thierry Touzaint. 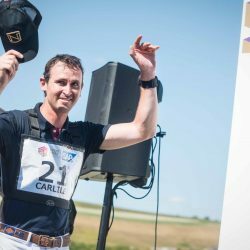 Tom Carlile and Upsilon. Photo by Ben Clark. 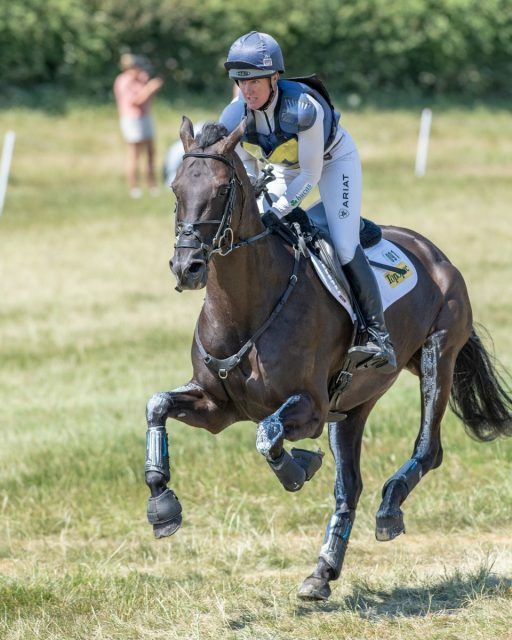 Just over a year into their exciting partnership, Gemma Tattersall and Clive Smith’s Pamero 4 made a steady climb up the leaderboard to finish in second place, adding just 1.6 time penalties to their dressage score to finish on 28.8. 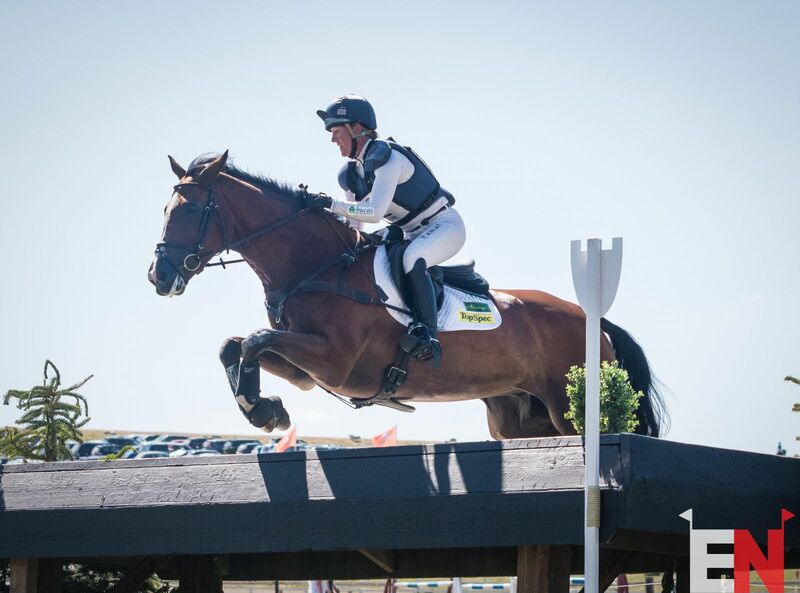 This is the first podium appearance this season for last year’s series winner, and the eleven-year-old Hanoverian’s first international run since making his Badminton debut earlier this year, where he finished 22nd. Gemma Tattersall and Pamero 4 celebrate a fruitful first year together. Photo by Ben Clark. 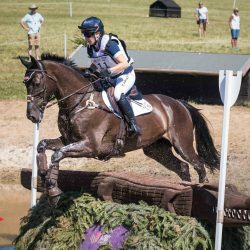 Pamero 4 has created something of a management quandary for Tattersall and her team, who have tried a plethora of tricks to try to get the poor-doer to eat and maintain condition. But, says Tattersall, he seems to have turned a corner since his spring four-star. 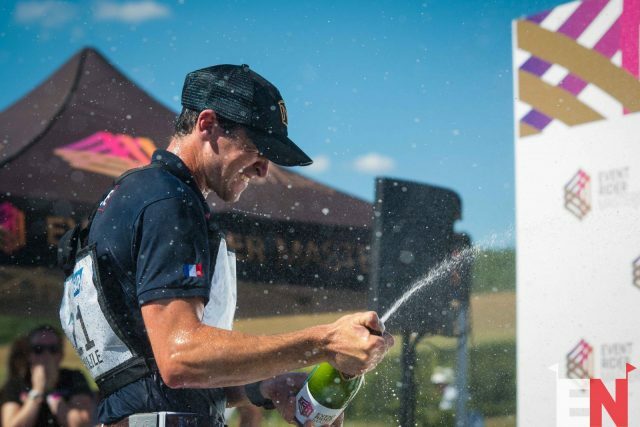 Chris Burton and Polystar finish on the podium yet again. Photo by Anna Franklin. 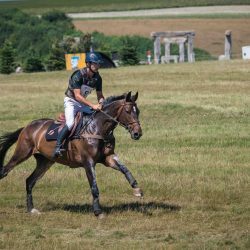 It was another weekend on the podium for Arville leg winners Chris Burton and Polystar I, who recorded the only clear round inside the time across the country. 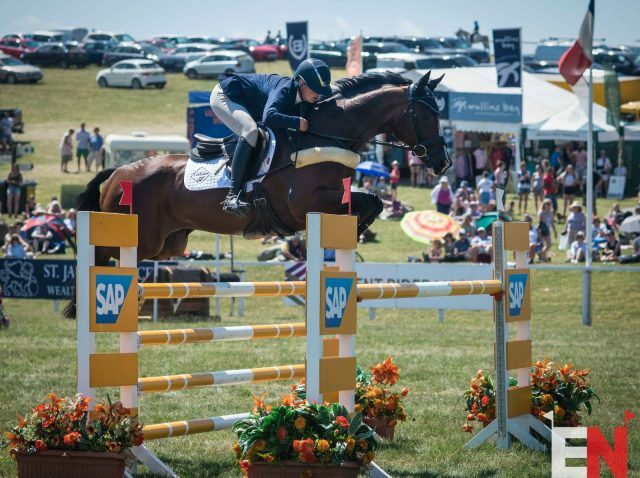 The ‘fastest man in the world’ was full of praise for the thirteen-year-old Westphalian, who he produced to CIC3*, claiming the non-Masters CIC3* at Barbury in 2016 on the horse’s first attempt at the level. 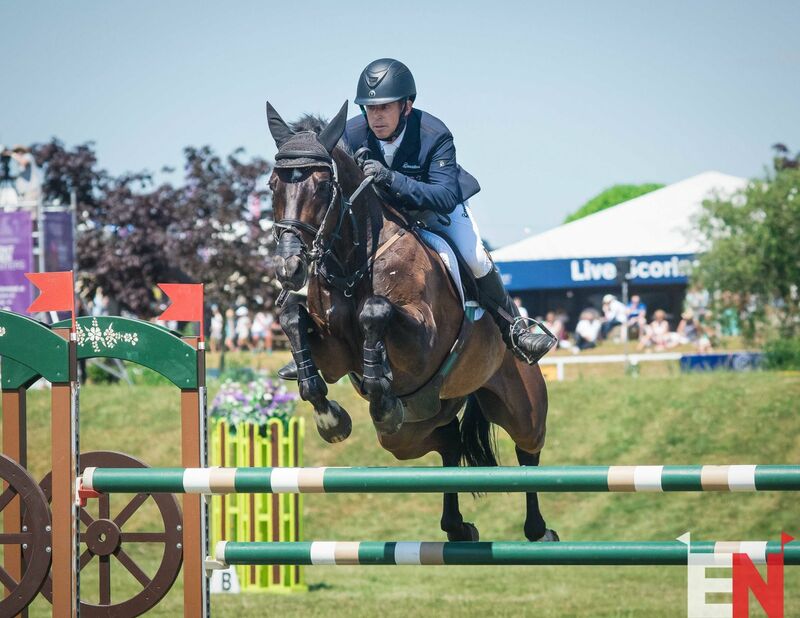 Despite this, Burton wasn’t interested in keeping the ride on the sales horse, and he passed the ride over to Irish show jumper David Simpson, who competed him in CSI2* and CSI4* classes throughout 2016. 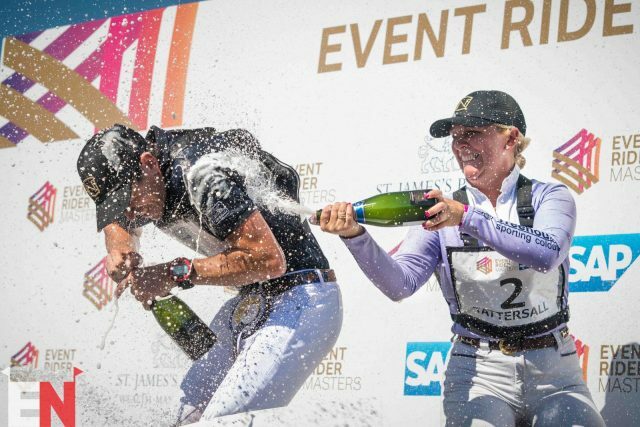 Then, in 2017, Trisha Rickards – perhaps best known for owning Jonelle Price‘s CCI4* winners Classic Moet and Faerie Dianimo – stepped in to secure the horse. 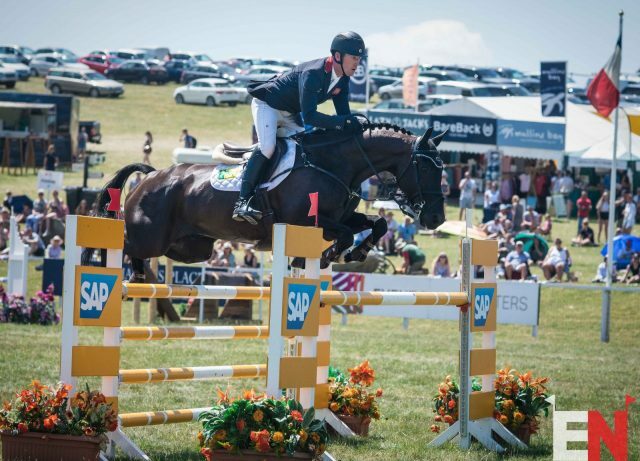 After taking 2017 out, Polystar has been back with a vengeance this year, and as the excitement unfolded in the ERM class, it looked as though he’d set an unmatchable precedent. In the end, they would finish third in the hotly-contested section. Chris Burton and Polystar I. Photo by Tilly Berendt. 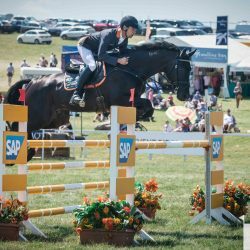 With three top-ten ERM finishes under his belt so far this season, Polystar is proving a worthy purchase for Rickards: “he was bought to do the ERMs with, and what a horse he is for it,” said Burton. 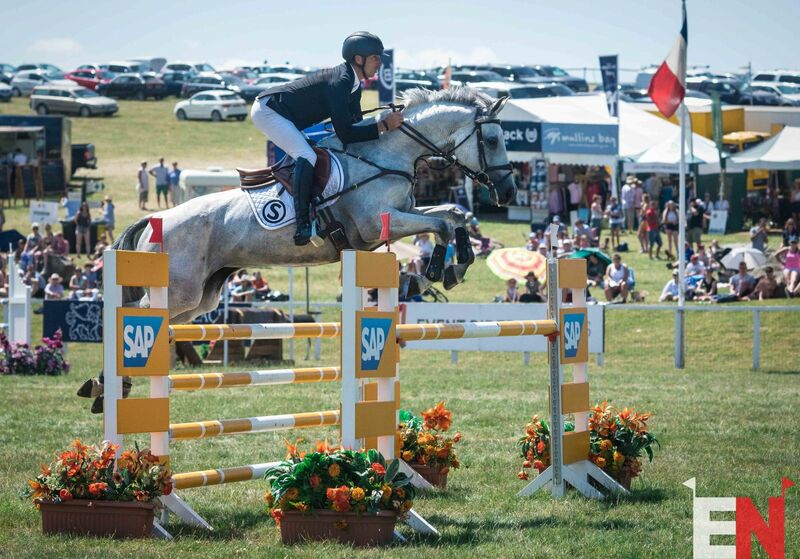 Flora Harris and Bayano log one of the few clear showjumping rounds of the day. Photo by Tilly Berendt. 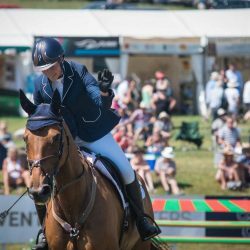 Flora Harris and Bayano climbed four places to finish fourth, adding just 8.4 time penalties to their dressage score of 29.1, while Liz Halliday-Sharp and Fernhill By Night, joint leaders after the first phase, dropped to fifth after adding a pole and a handful of time faults. 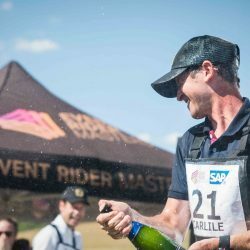 “He just ran on a bit with me in the ring, so we had that pole – although I’d rather an enthusiastic pole than time penalties in there,” mused Halliday-Sharp. 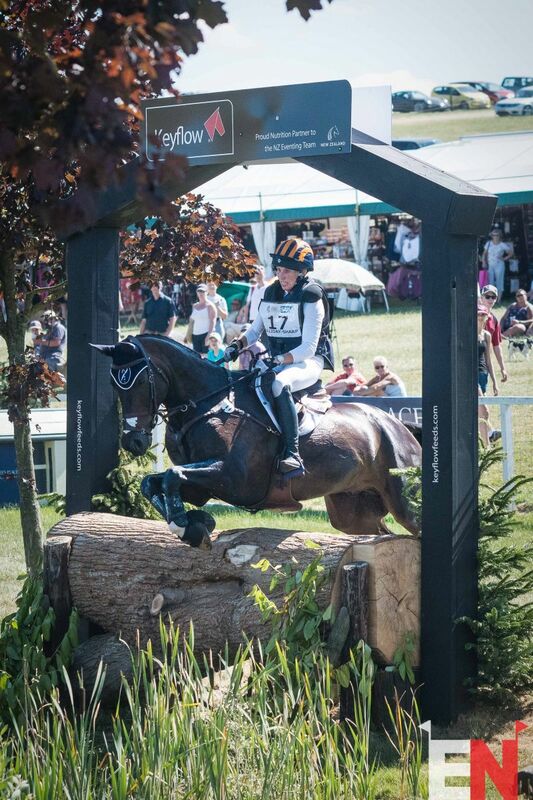 Liz Halliday-Sharp and Fernhill By Night. Photo by Tilly Berendt. 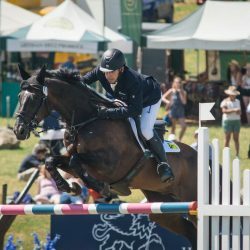 The showjumping proved the most influential phase of the weekend, with only seven clear rounds out of 36 starters. 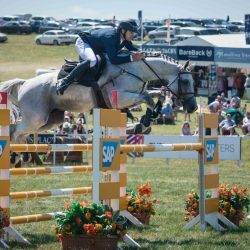 The Barbury showjumping is always tricky – with its sharply-angled hill, it rides almost like a Derby course – but this year was particularly challenging, with a tight time of 84 seconds and a serious of variable distances that meant riders had to think on their feet at all times. 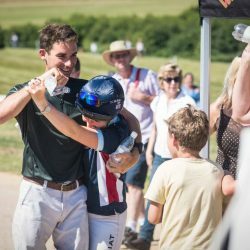 Cricket scores abounded; Jonelle Price, Tom McEwen, Ginny Thompson and Louise Harwood each racked up more than 30 penalties over the poles, while a further eight competitors added more than 10. 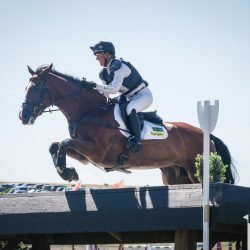 Some of these took everyone by surprise, such as clear round machine Cillnabradden Evo, who, with rider Oliver Townend, had been sitting third after dressage. 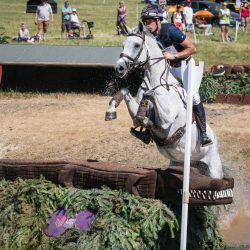 A totally uncharacteristic 20 showjumping penalties dropped them right out of contention, and they withdrew before cross country. 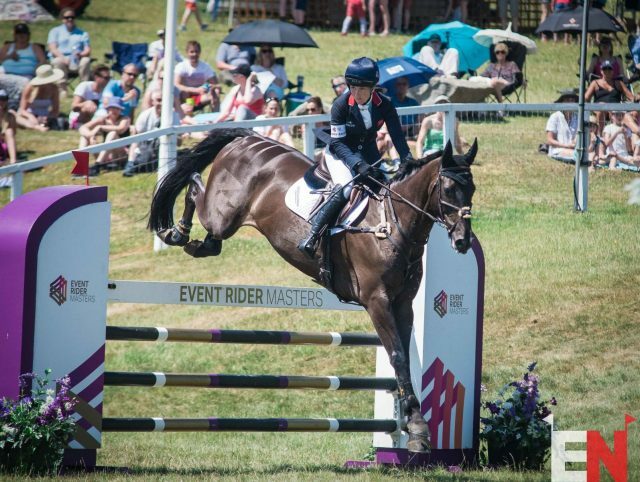 Laura Collett and Dacapo on their way to eventual ninth. Photo by Tilly Berendt. In fact, the field thinned considerably before the final phase began, and only 22 of an original 38 starters went forward to cross-country. 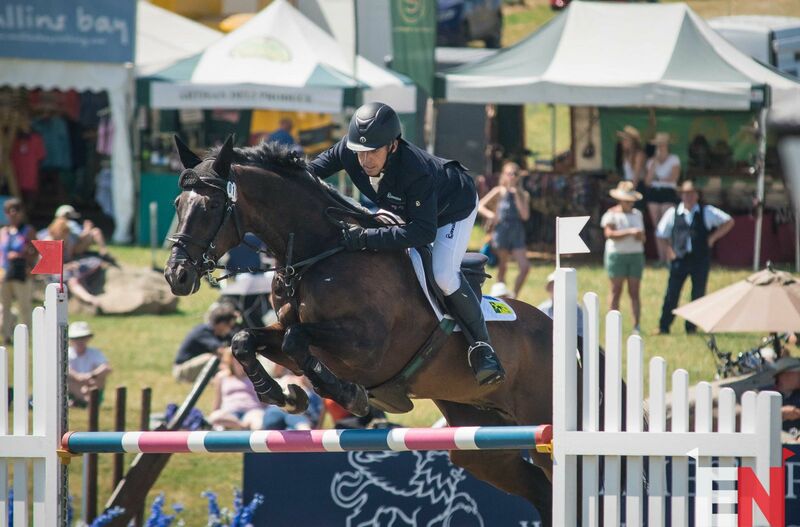 High-profile withdrawals included Mark Todd, Sam Griffiths, William Fox-Pitt, Sarah Cohen and Blyth Tait, who opted to save their horses for another, perhaps less sweltering, day. 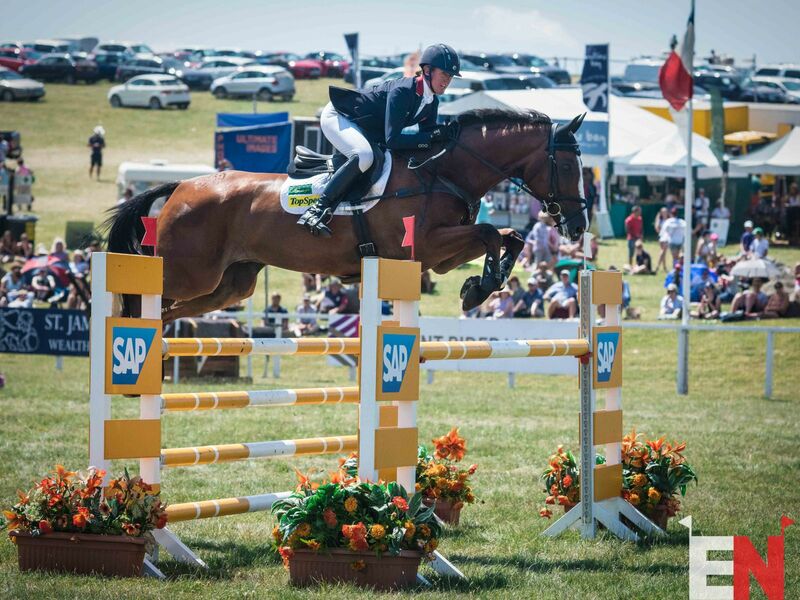 Andrew Nicholson and Swallow Springs jump through the Devoucoux Stonehenge fence. Photo by Tilly Berendt. 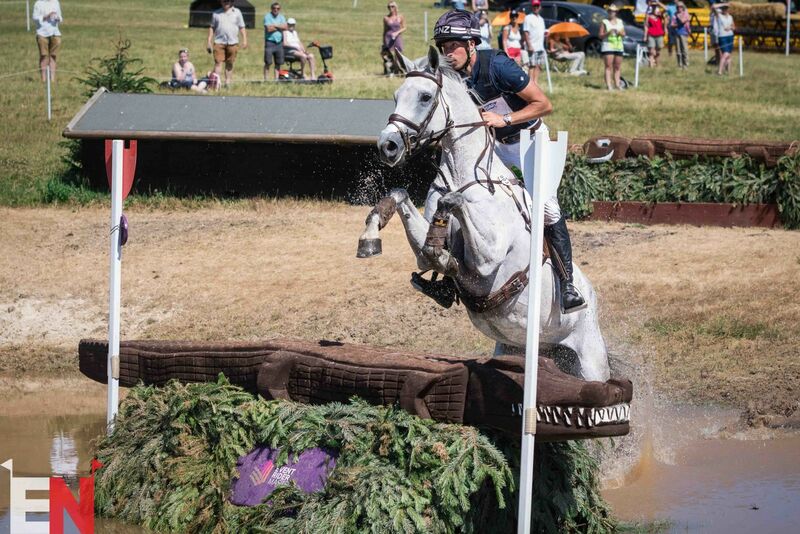 The cross country proved to be less influential than its predecessor, with six of the 22 starts picking up jumping penalties or failing to complete the course. 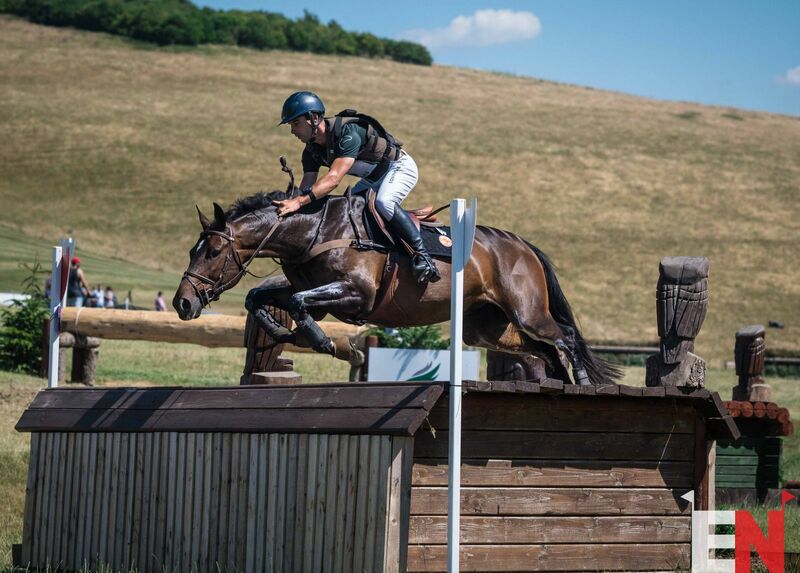 One of these was Andrew Nicholson, the King of Barbury, who took a surprise tumble late on course from Swallow Springs. 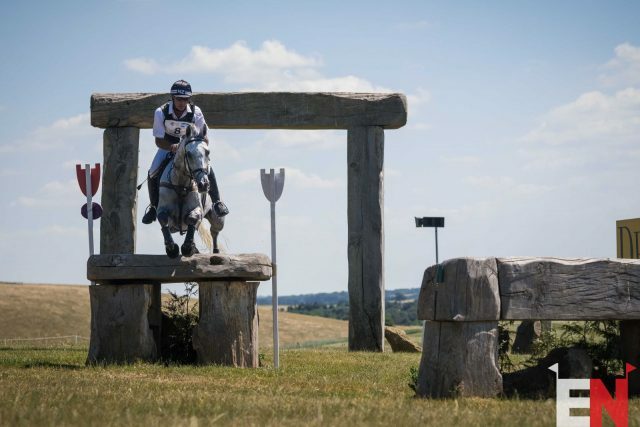 Elsewhere, time faults abounded as horses and riders criss-crossed the bowl in sweltering temperatures. 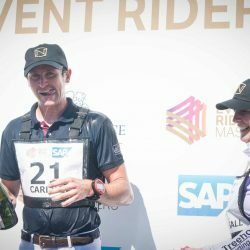 The Barbury 2018 ERM podium: Chris Burton (3rd), Tom Carlile (1st), and Gemma Tattersall (2nd). Photo by Tilly Berendt. 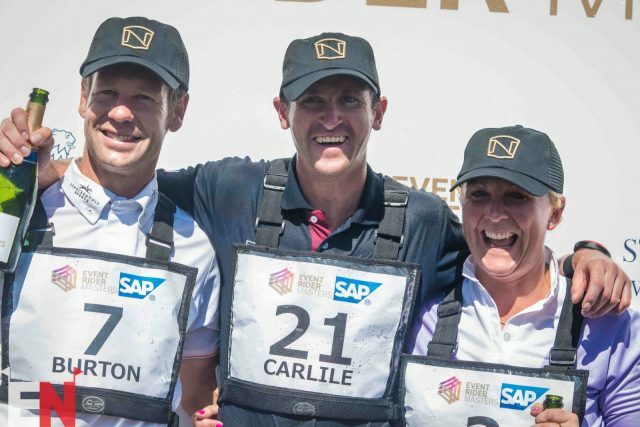 The final leaderboard shook up the current series standings – leader Laura Collett‘s ninth-place finish wasn’t quite enough to hold the top spot, and Chris Burton becomes the series leader going into the fifth leg at Jardy. 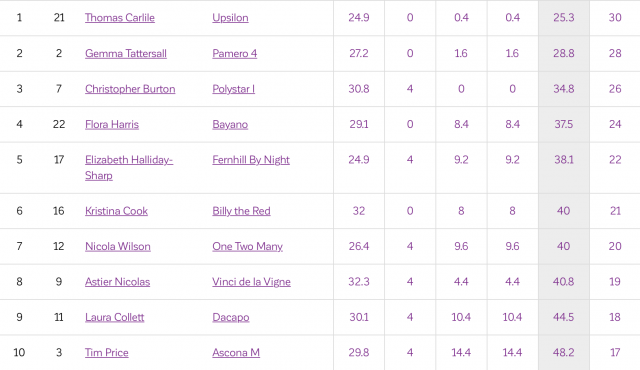 Laura slips just one spot into second, while last year’s series winner, Gemma Tattersall, moves up into third place. 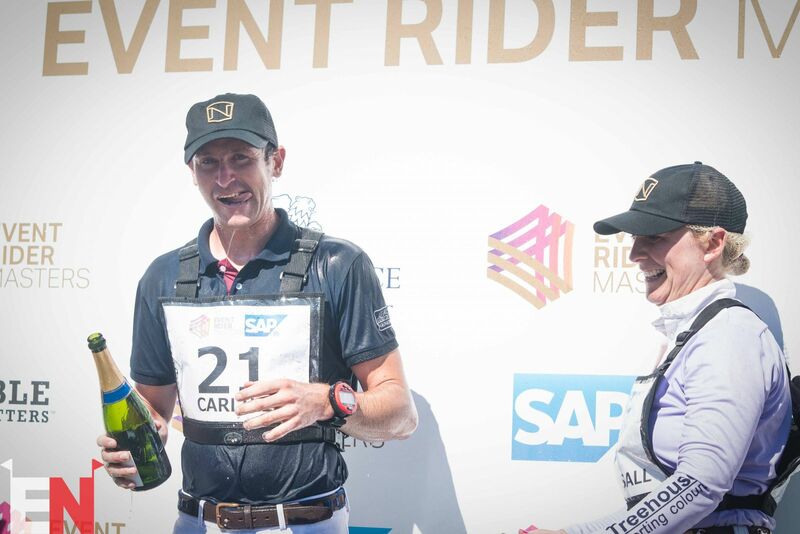 Gemma Tattersall douses Tom Carlile with champagne atop the podium. Photo by Tilly Berendt. 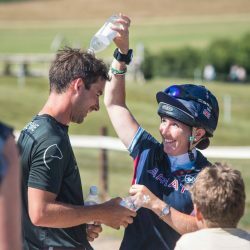 Nicola Wilson and Bulana claimed the win in the non-Masters CIC3*, heading a British top-three and enjoying a return to form after their Luhmuehlen campaign ended on course. 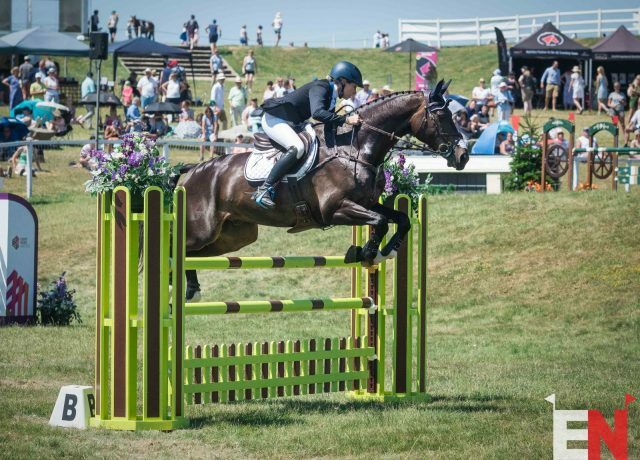 Nicola Wilson and Bulana take Barbury. Photo by William Carey. And so the sun set on another glorious Barbury, resplendent in its endless sunshine and open skies and REALLY BAD SUNBURNS. Stay safe out there, kids. Use suncream. Don’t be an idiot. Your faithful UK correspondent, currently drowning in a vat of aftersun, and whinging heavily. 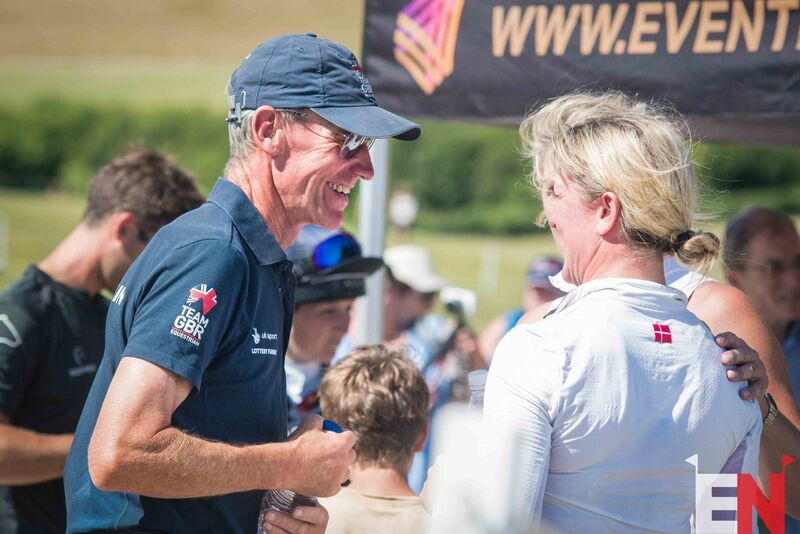 The Barbury ERM top ten. 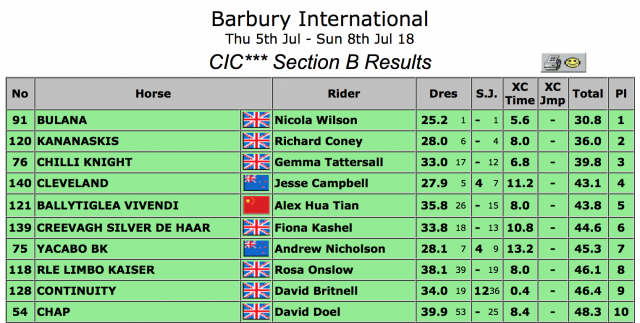 The Barbury non-Masters CIC3* top ten. Sam Griffiths and veteran campaigner Happy Times. Photo by Tilly Berendt. 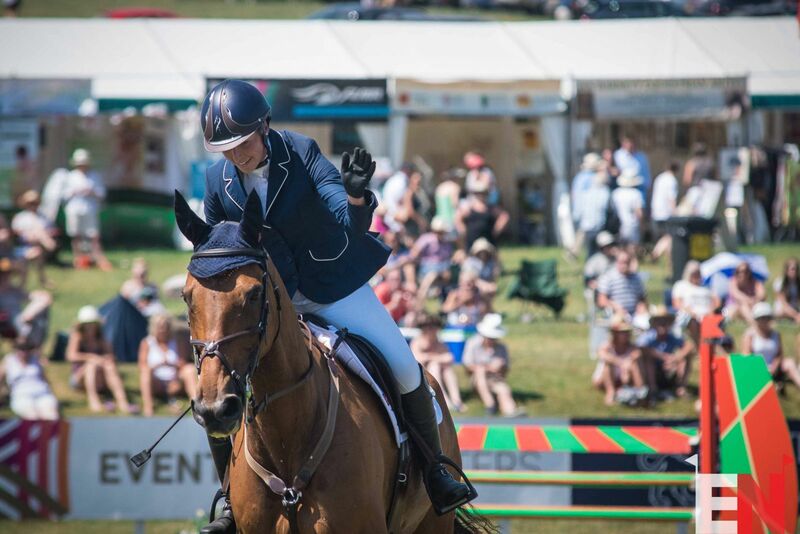 Georgie Spence and Cooley Earl celebrate a clear round at Barbury. Photo by Tilly Berendt. 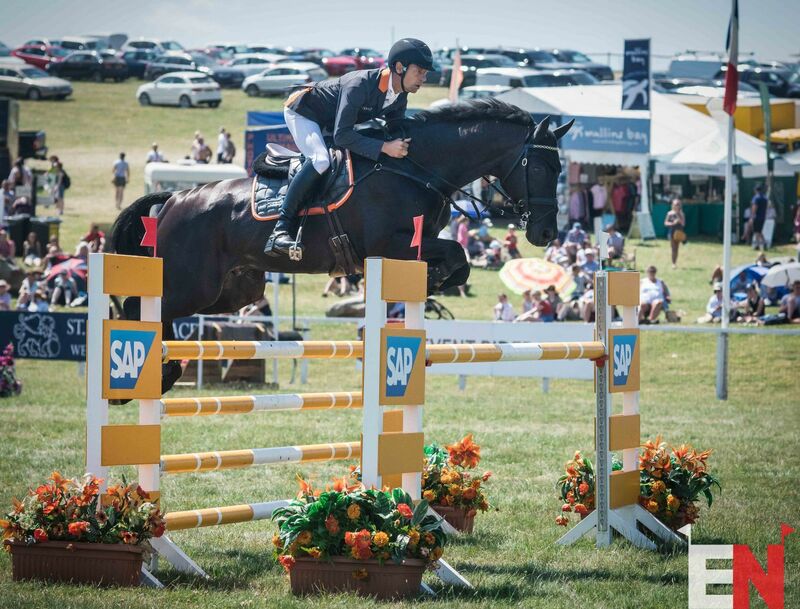 Sam Griffiths and Happy Times clear the penultimate fence. Photo by Tilly Berendt. 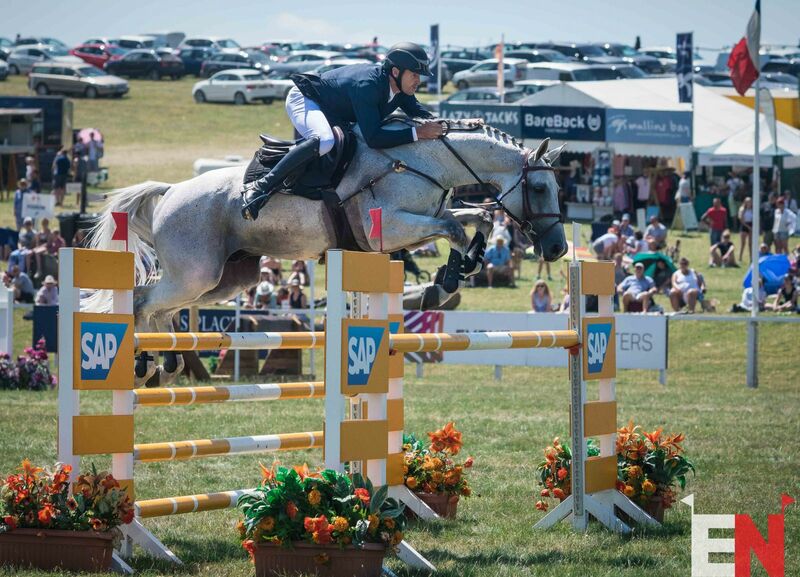 Chris Burton and Polystar I on their way to third place. Photo by Tilly Berendt. 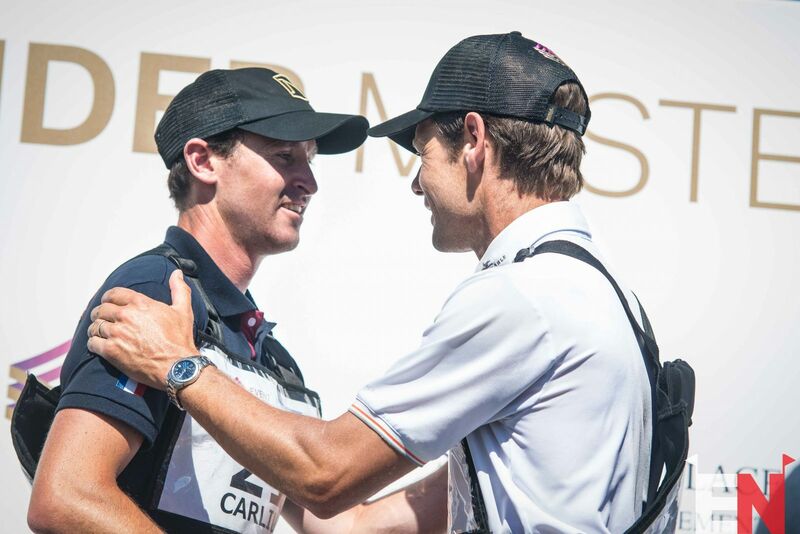 Tim Price and Ascona M clock up a top-ten finish. Photo by Tilly Berendt. 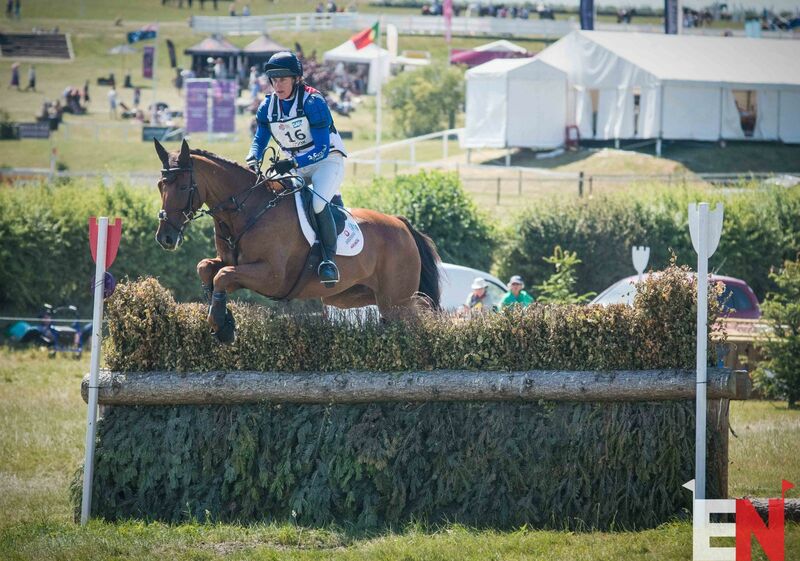 Nicola Wilson and One Two Many sneak into the top ten, making an exciting weekend for Wilson. Photo by Tilly Berendt. Upsilon shows off his scope. Photo by Tilly Berendt. 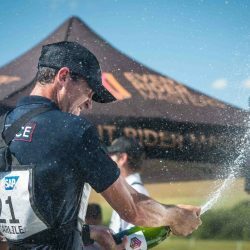 Astier Nicolas pilots Vinci de la Vigne to the top ten. Photo by Tilly Berendt. 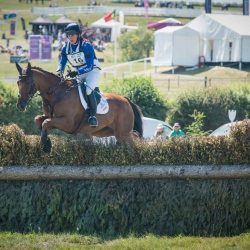 Vinci de la Vigne makes light work of Barbury’s hills. Photo by Tilly Berendt. 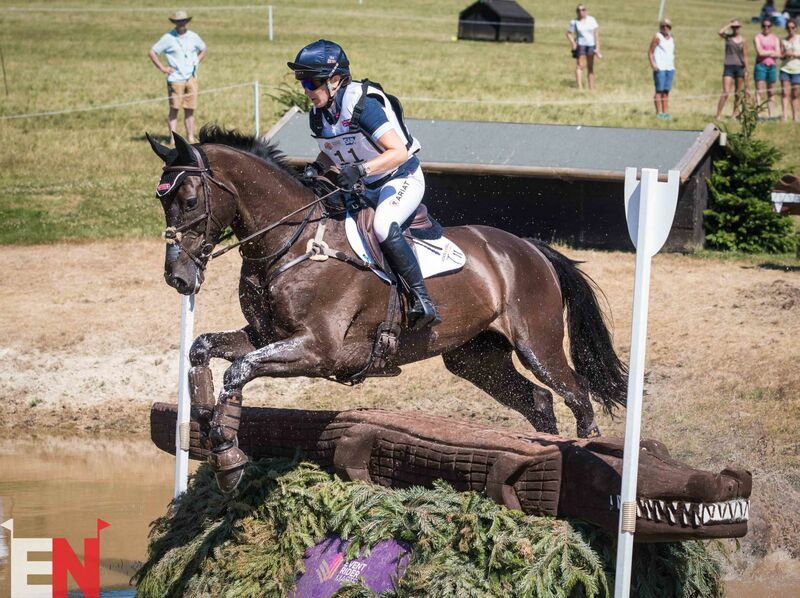 Laura Collett and Dacapo pop through the first water. Photo by Tilly Berendt. Afraid of gators? 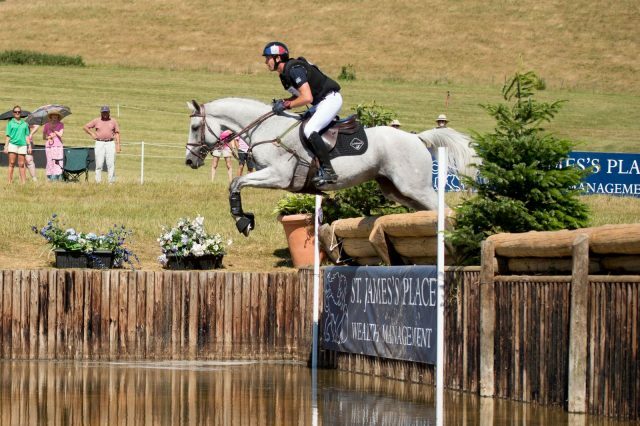 Ascona M takes no chances with Tim Price. Photo by Tilly Berendt. Tina Cook and Billy the Red make a comeback to the leaderboard. Photo by Tilly Berendt. Nicola Wilson and One Two Many. Photo by Tilly Berendt. 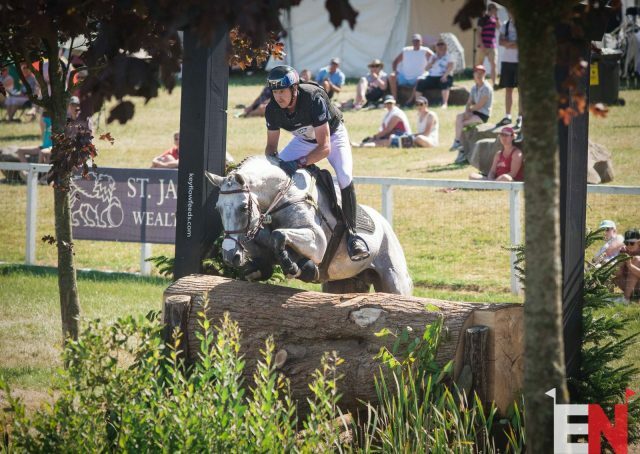 Liz Halliday-Sharp and Fernhill By Night head for home and fifth place. Photo by Tilly Berendt. 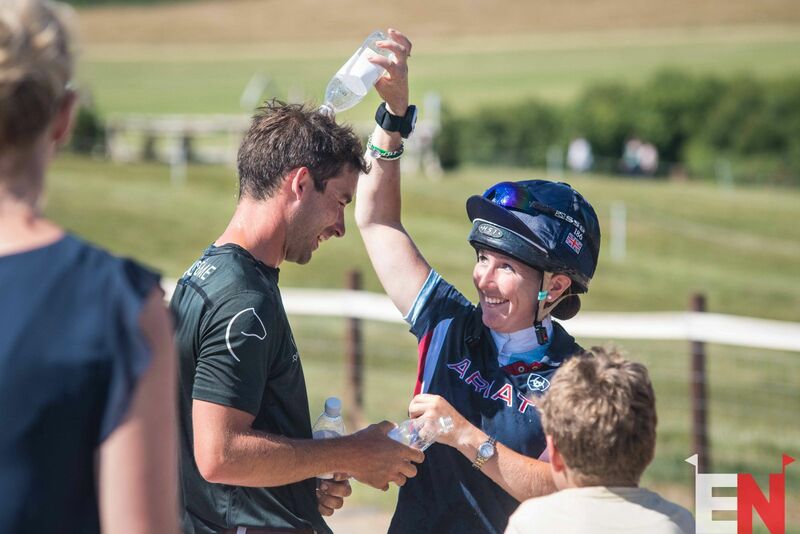 She gets by with a little help from her friends – Laura Collett gets a soaking from Astier Nicolas after their cross country rounds. Photo by Tilly Berendt. And she returns the favour, too! Photo by Tilly Berendt. 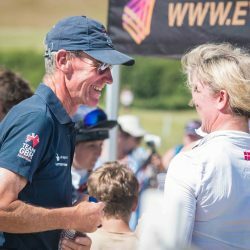 Team GB chef d’equipe Chris Bartle congratulations Nicola Wilson on her win in the non-Masters CIC3*. Photo by Tilly Berendt. 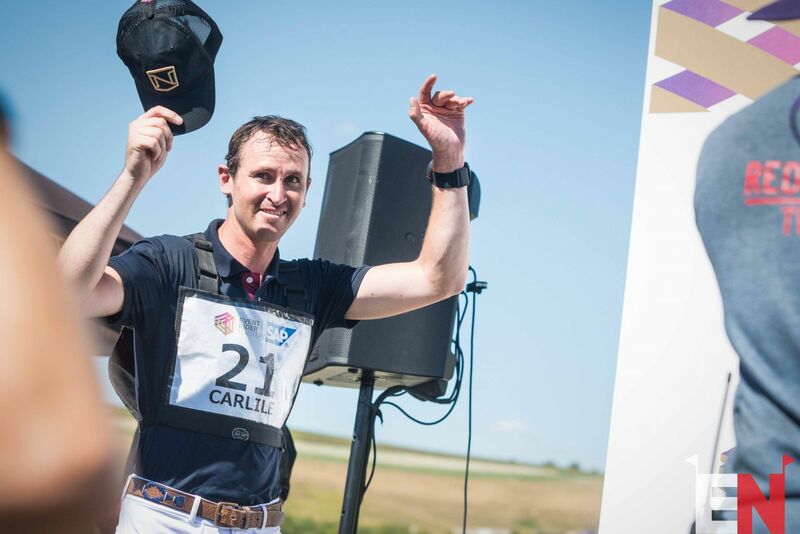 Tom Carlile accepts his rightful place atop the podium. Photo by Tilly Berendt. 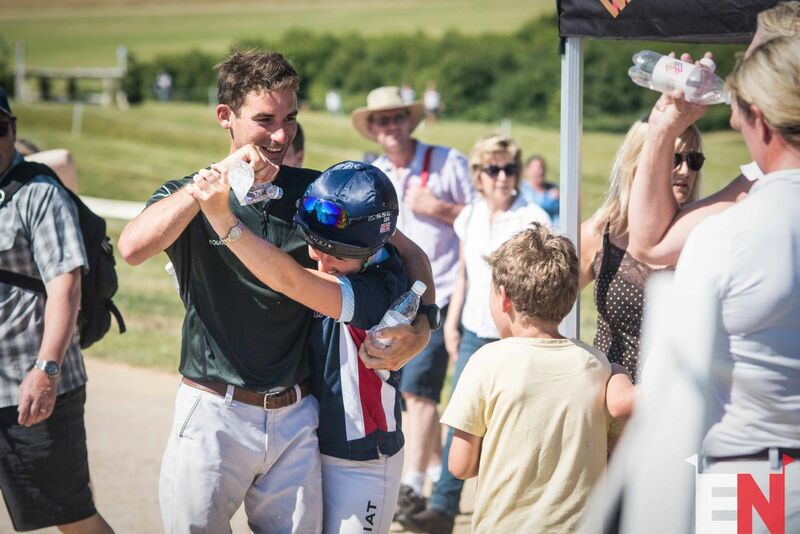 Burto congratulates Tom Carlile on his second consecutive win at Barbury. Photo by Tilly Berendt. 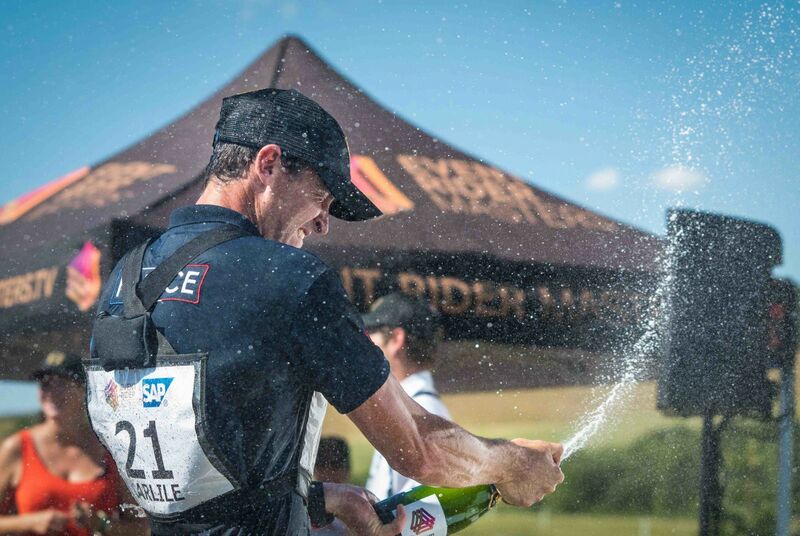 The only way to celebrate – by dousing everyone around you in Pol Roger. Photo by Tilly Berendt. 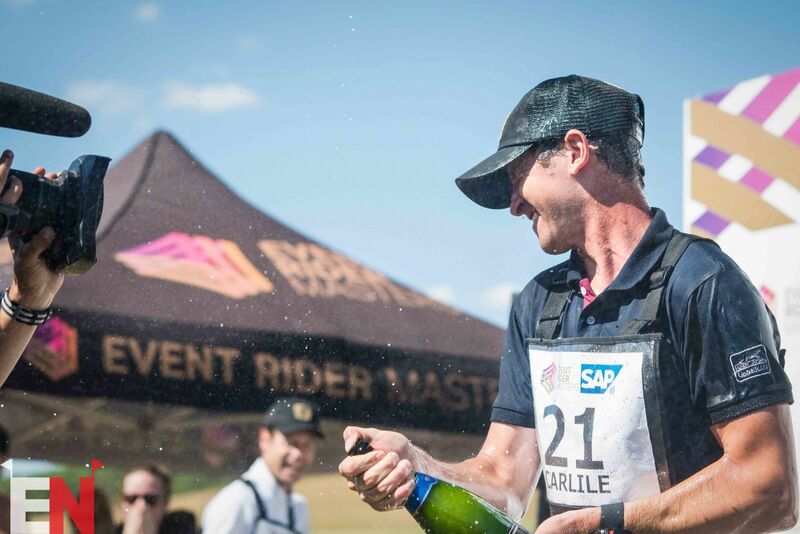 No cameraman is safe – Carlile unleashes his celebratory champagne. Photo by Tilly Berendt. You’re welcome. Photo by Tilly Berendt.